The pending moves will shift Amazon from the "MVP" employer role it plays in the Pacific Northwest to a mere "VIP" employer position in two of America's largest, most-robust locales. 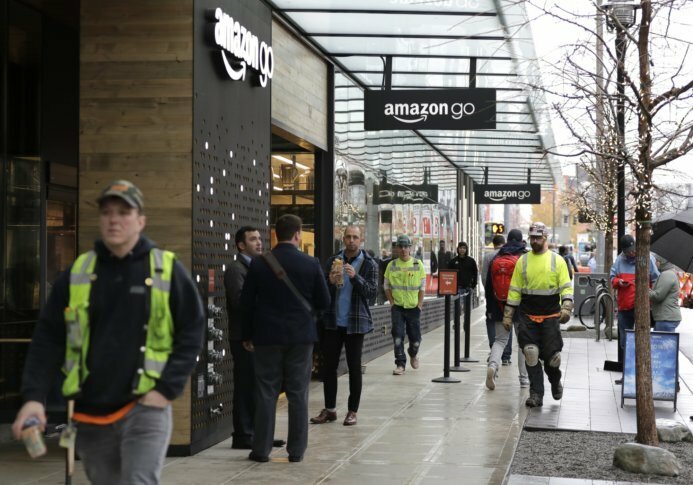 SEATTLE (AP) — As Amazon turns its attention to setting up new homes in Long Island City, New York, and Arlington, Virginia, experts and historians in Seattle say both places can expect a delicate relationship with the world’s hottest online retailer. The New York City and D.C.-area picks allow the company to strategically sidestep and diffuse many of the growing pains Amazon has been accused of inflicting on its Seattle hometown. That’s because the pending moves will shift Amazon from the “MVP” employer role it plays here, to a mere “VIP” employer position in two of America’s largest, most-robust locales. A Fitch Ratings analysis notes that 25,000 Amazon jobs would amount to less than 1 percent of the labor force in either New York’s or D.C.’s metropolitan statistical area. Both also already have a large concentration of personal incomes in the six-figure bracket. Matthew Gardner, chief economist with the Windermere Real Estate company in Seattle, estimates that Amazon’s crew of highly educated, well-paid techies makes up about 15 percent of downtown Seattle’s total workers. That’s also meant a steady blockade of construction work in pockets of downtown, which also coincides with major traffic congestion caused by two long-overdue public transportation projects on Interstate 5 and Highway 99. Critics also lament Seattle’s metamorphosis from a modest blue-collar region fueled by timber, fishing and factory jobs, to the city’s status as a star tech hub that was cemented by Amazon and then drew Facebook and Google to set up key outposts here. Seattle’s new concentration of highly educated, well-paid techies infused in a post-Great Recession era has contributed to a vicious housing market. As a majority of them are young and single renters, Gardner said average city rents have increased by more than 70 percent since 2010, to nearly $2,000 a month. Meanwhile, the average cost of a single-family house has increased by nearly 90 percent to an average price of $844,000. The tension around Amazon’s growth hit a peak this year as the city struggled to address its homelessness crisis. Amazon successfully fought a proposed city tax that would have helped fund more services. Local officials quickly bowed down to the city’s top employer after Amazon threatened to pull development projects. The bitter battle further bruised CEO and founder Jeff Bezos’ “corporate citizen” reputation and also overshadowed the growing, though relatively small portfolio of philanthropy Amazon has done in the city for homelessness. For the first two decades in existence, Amazon.com’s business blossomed quietly in Seattle, starting as a literary dot-com darling and expanding into the “Everything Store.” In fact, Amazon in 1994 was warmly embraced by a city proud of its innovative legacy tied to Boeing and Microsoft, but also committed to being an affordable, creative enclave out West. “At some point, they crossed the line from being a creative dot-com to ‘The Man,'” Berger said. “Building a neighborhood that’s a really great place to be a tech employee but not built for anyone else, from a city’s perspective, it’s not the kind of sustainable development you want to have,” O’Mara said.